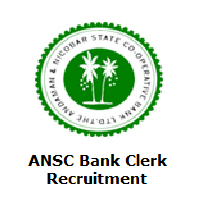 ANSC Bank Clerk Recruitment 2019 Notification is available on this page. The Andaman Nicobar State Cooperative Bank authority issued ANSC Bank Recruitment 2019 Notification For 100 Clerk, Junior Auditor, Hardware Engineer (EDP), Computer Assistant, Multi-Tasking Staff (MTS) posts. For this recruitment application process already started. Eligible candidates should apply for ANSC Bank Jobs 2019 before 30th April 2019. Candidates can check the ANSC Bank Job Openings 2019 details such as selection process, application fee, salary, important dates, eligibility criteria and application process details from this article. Aspirants can also download the ANSC Bank Recruitment 2019 Notification from this page by hitting on the below given link. Candidates must utilize this great opportunity by applying for the ANSC Bank Job Vacancies 2019. The ANSC Bank Recruitment 2019 Notification details clearly mentioned in this article. Candidates who want to apply for Clerk, Junior Auditor, Hardware Engineer (EDP), Computer Assistant, Multi-Tasking Staff (MTS) posts in the Andaman Nicobar State Cooperative Bank (ANSC Bank) organization, they can read this complete article. Candidates are requested to submit the application form before the closing date. The postal address clearly mentioned at the below of this page. To get the latest updates about all government jobs to keep visiting Sarkari Recruitment frequently. Clerk Candidates must complete 10+2 with Diploma Course in Computer Operation, Graduation in any discipline from a recognized Institute/University. Hardware Engineer (EDP) Candidates must possess Diploma in Computer Science, Diploma/Certificate Programme in Hardware Engineer from a recognized University. Computer Assistant Candidates must possess BCA/B.Sc in Computer Science/Diploma in Hardware and Software Engineering from a recognized University. Multi Tasking Staff Candidates must pass 10th class from a recognized Board with Computer Knowledge. There is No Application Fee for ANSC Bank Recruitment 2019. Andaman Nicobar State Cooperative Bank (ANSC Bank) main page will open. On the main page what’s new section is available. In that option find the ANSC Bank Clerk Recruitment 2019 Notification. And click on that particular link. If you’re eligible, then apply for ANSC Bank Jobs 2019 by filling the application form. And submit the application form below given address before 30th April 2019. Managing Director, Andaman & Nicobar State Cooperative Bank Limited, Head Office, 98, Maulana Azad Road, Port Blair, Pin – 744101. Hope the above provided ANSC Bank Clerk Recruitment 2019 For 100 MTS, Computer Assistant & Other Posts is very helpful for all the job seekers. Candidates can also visit the official website to know more details about recruitment. Aspirants if you have any queries related to this topic, then leave a comment in the below provided comment box. Thank you.